Government approval was received in July for the drafting of a Human Tissue Bill. 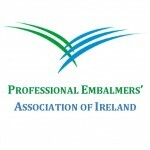 The PEAI executive board is preparing a submission document outlining the potential impact of this bill on embalming practice. It is important, that you as an individual have your say about the proposed legislation also. The ‘Opt Out System for Organ Donation’ proposed in this bill, will have an impact on post-mortem care. As it stands, only internal organs are available for harvesting. However, the bill does leave room for more organs to be added to the list. It is foreseeable that in time, human bone and skin will be included in this list, thus having a significant impact on embalming practice. However, it is important to note that this bill is still in the early stages of development, and such an impact will not be immediate. Click HERE to learn more about Human Tissue Bill and have your say on proceedings.